In a surprising twist, the Berkeley City Council voted unanimously Tuesday night to decline requests from U.S. immigration officials to apply more stringent detention rules to arrested individuals depending on citizenship status. Advocates in attendance said the council made a landmark policy decision believed to be the most comprehensive and definitive in the nation as far as refusing altogether to cooperate with a U.S. Immigration and Customs Enforcement (ICE) program to detain and potentially deport non-citizens who are arrested. The decision will, at least initially, have a limited impact given that the vast majority of these individuals ultimately are turned over to county agencies that do cooperate with the feds. Advocates said they believe, however, that the decision will have a ripple effect throughout the state to convince other jurisdictions to take a similar stand. The city has been working since last year to revise its policy regarding the fate of non-U.S. citizens who are arrested in Berkeley after a federal program called Secure Communities, launched in 2007, set up automated alerts to the feds when non-citizens are arrested. When ICE receives these alerts, triggered by the fingerprinting process during booking, a notification is sent to local law enforcement agencies requesting detention of the individual for review. Cooperating with detention requests is voluntary, leaving law enforcement jurisdictions the ability to set their own policies to reflect community standards. The goal of Secure Communities, said Berkeley Police Chief Michael Meehan, is to give law enforcement agencies another tool to keep dangerous offenders off the streets. The problem, said advocates and Berkeley officials, is that it creates a separate system whereby alleged offenders can potentially be held post-arrest under circumstances where they might otherwise be released. 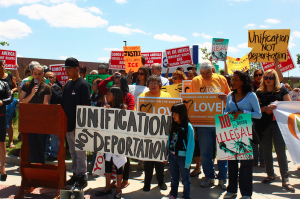 Another issue of concern for many at Tuesday’s meeting was the fate of families and youth within the context of an aggressive approach to deportation. Advocates said “S-Comm” allows federal agents to swoop in, sometimes within hours, pick up arrested individuals and potentially deport them, long before their guilt or innocence can be determined in a court of law. Meehan said his proposal at Tuesday night’s City Council meeting was an attempt to create a narrowly focused policy that would only target dangerous, violent offenders. The policy would have required the city to cooperate with ICE detainer requests following an arrest for a serious or violent crime, but only in cases where the individual had a prior conviction for a serious or violent crime. The full text of Meehan’s proposal can be read here. Meehan said that since the Secure Communities program started, ICE has requested the detention of about two Berkeley jail inmates per month. His policy adjustment would have reduced that much further, he said. 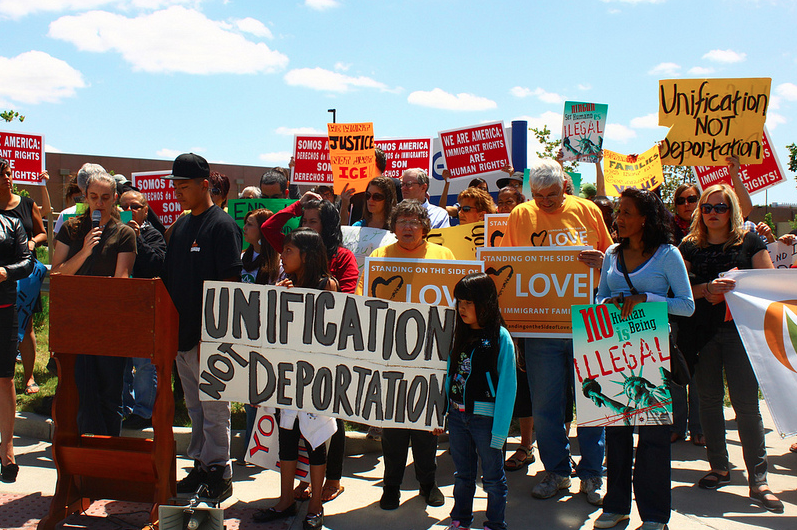 According to media reports, Secure Communities’ deportations statewide have reached almost 80,000. Council members balked at the idea of imposing different rules on non-citizens. Councilman Max Anderson agreed, adding that, rather than penalize prior offenders, Berkeley should work to help them re-enter society after they’ve paid their debt. He said the ICE program has “its own agenda driven by national politics,” and that Berkeley should refrain from participating, particularly given that the deportation process likely would be irreversible. “What’s been created is a system of automation designed to outpace and outstrip an individual’s ability to defend himself,” he said. Put simply, said Arreguín, ”If we want to treat everybody the same, we shouldn’t honor any ICE detainer requests.” His comment was met with clapping from advocates in attendance. Following a motion soon afterward by Councilwoman Linda Maio to disregard ICE requests for detainer following arrests, council members asked city staff to craft language for the new policy while the council heard another item. Council members acknowledged that the real battle would take place at the county level and beyond. But advocates in attendance said there could not have been a better outcome. Nadia Kayyali, a legal fellow with the Bill of Rights Defense Committee, said the decision would help with advocacy efforts throughout the county and state. This entry was posted in Press (California) on November 7, 2012 by Ian.